Available now on Amazon: Chase Potter’s fourth book, The Music of the Spheres. You should know I have read and loved every book that Chase Potter has published. That stated, I’ve watched him grow as an author, but that might make me sound like I have more experience than he does—and that is not the case. The truth is, I look up to Chase because he’s way ahead of me on the Indie/self-publishing journey. He has been kind enough to share his knowledge and mentor me along my own journey to self-publishing. Yet, from a certain point of view, I have watched him grow as an author. That said, this book, his fourth, is his best work so far! How do I know this? Because I read The Music of the Spheres in three days, which is a record of records for me. But enough about me… let’s get to the book! In short, Ryan, the main character, embraces the support of his amazing sister Emma and his dad Scott. As the story progresses, Chase brings the reader through the special moments of their life together as they welcome Adam, the quirky kid, into the Mattson’s home and hearts. 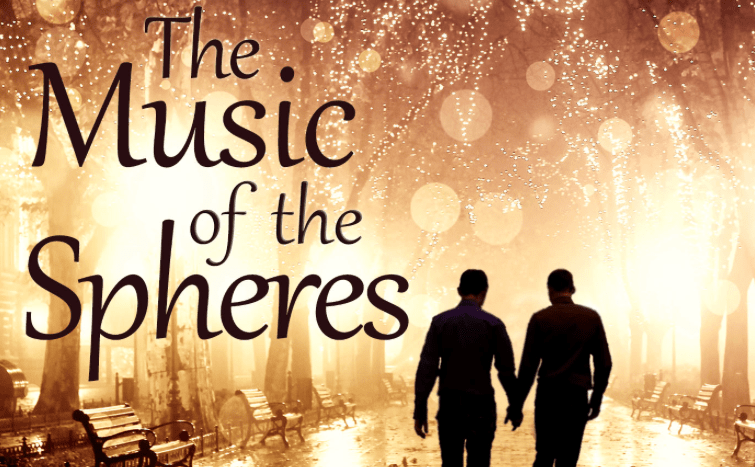 The Music of the Spheres is a beautiful coming-of-age romance story unlike any I’ve read. Ryan’s journey to love is sweet, well-paced, and leaves you wanting for more in all the right ways. I think this is why I had such a hard time putting it down, and Chase doesn’t disappoint. He delivers the skillful weaving of powerful themes such as love, life, family, innocence, discovery, loss, and most importantly, falling in love throughout the story. Real – Chase created several down-to-earth characters, immersed them in believable, real-life situations, and effortlessly mixed them with fiction. (He’s getting really good at this.) I kept wondering which characters and scenes he based on (his) real life (experience), if any at all. That’s how well his skill has developed…which means his future books will be that much more amazing. Emotionally Moving – I instantly liked three of the four main characters as they entered the story. I had to warm up to Adam, the fourth main character, but I believe Chase intended this because we perceive the story’s world through Ryan’s eyes—and it takes Adam some time to open up to Ryan. Emma, Emma – Though Ryan Mattson is the main character, Emma, his younger and adorable sister, quickly steals the stage as the smart and sassy glue of the Mattson family. Chase has mastered what I call reader empathy* – when a story’s important characters emotionally connect with the soul of the reader. I would love to meet them all in real life because they are so special. The Power of Love – This book is full of love. There’s father to son and daughter, brother to sister, best friend to best friend, Adam to the Mattson family, Adam to Emma. So, if you’re looking for a well written, compelling and heartfelt story that will be hard to put down, put this on your GoodRead’s Want to Read list and then order it today from Amazon! Chase Potter lives in St. Paul, Minnesota with his husband Mitchell and their dog Alex. 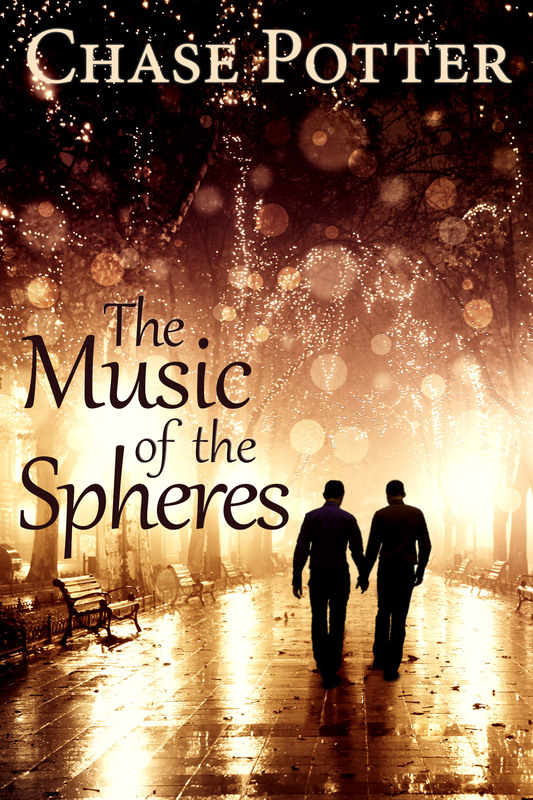 The Music of the Spheres is his fourth novel. Raised in rural Minnesota, Chase has also lived in Germany and Austria. The experiences growing up in a small town and his struggles to adapt to foreign culture and language have served as inspiration in his writing. *Reader Empathy: If this has a real term, I’d love to know it!